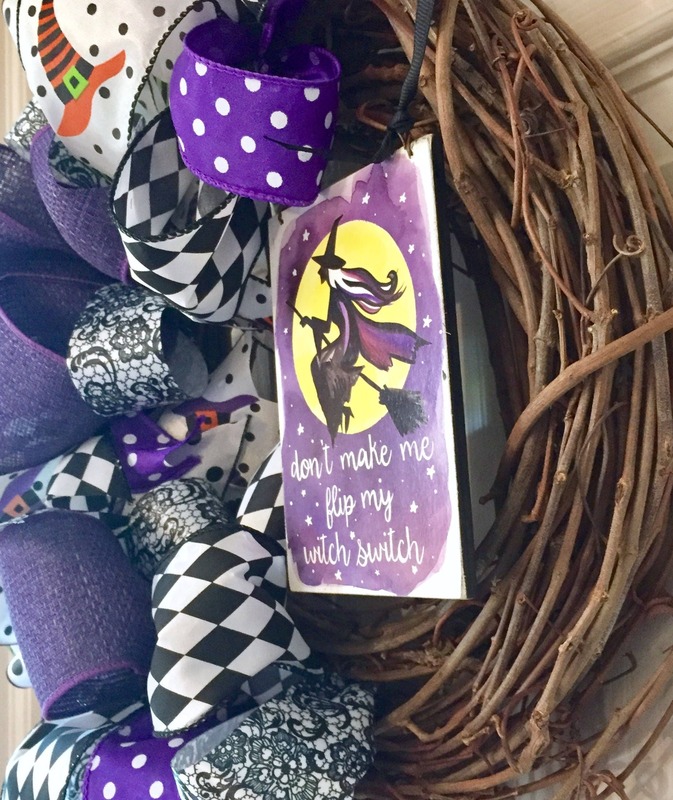 This festive and fun Halloween witch wreath is definitely a head-turner! I started with a 12” grapevine. 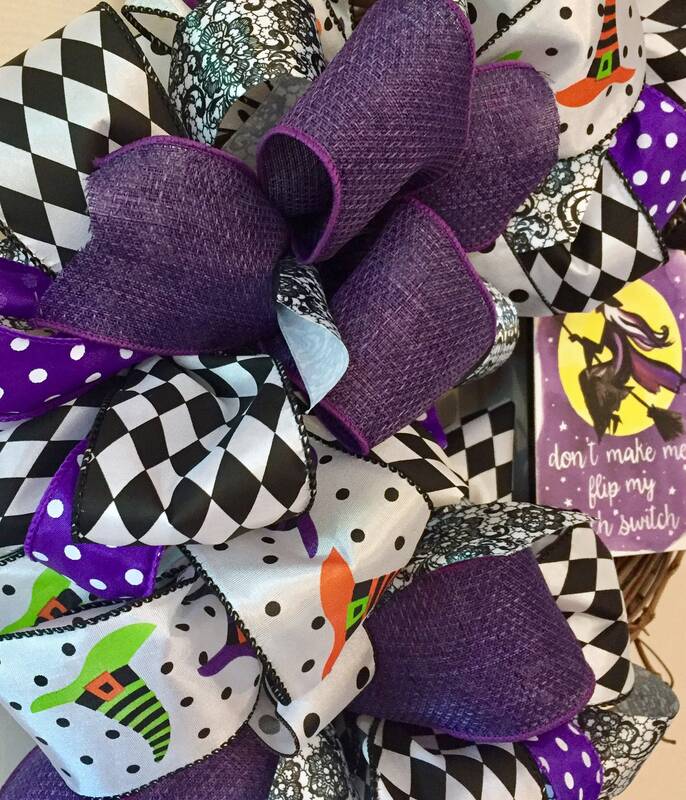 Six different ribbons were selected to create an abundance of bows to attach to the side of the wreath. 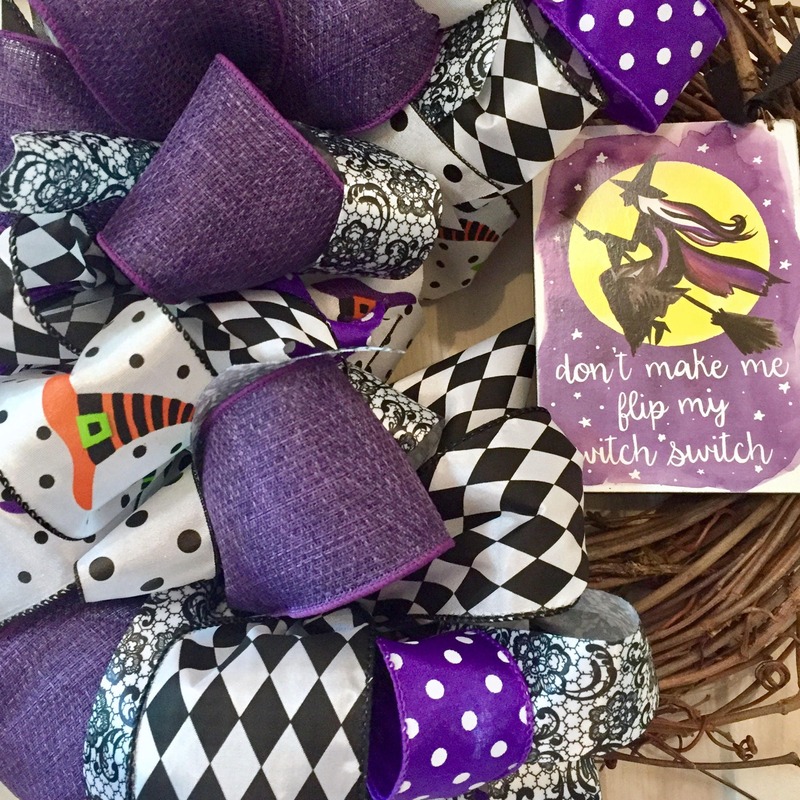 The ribbons used include a black/white floral paisley satin print, a white/black satin dot, a purple/white satin dot, a black/white diamond/jester print, a witch hat print and a purple faux burlap. Hanging to the side is a small sign featuring a witch flying on a broom. 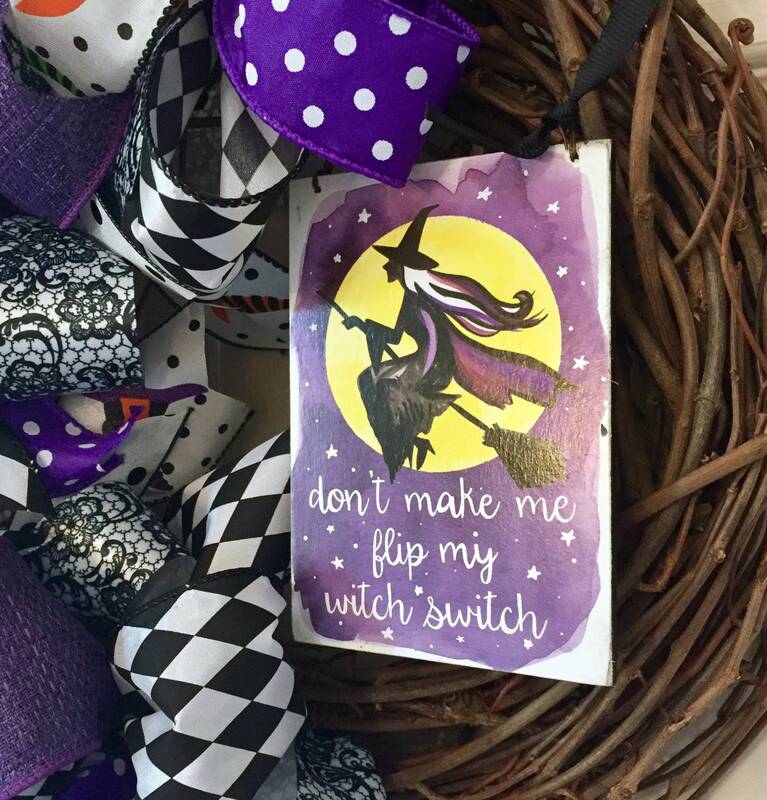 It reads, "DON'T MAKE ME FLIP MY WITCH SWITCH". 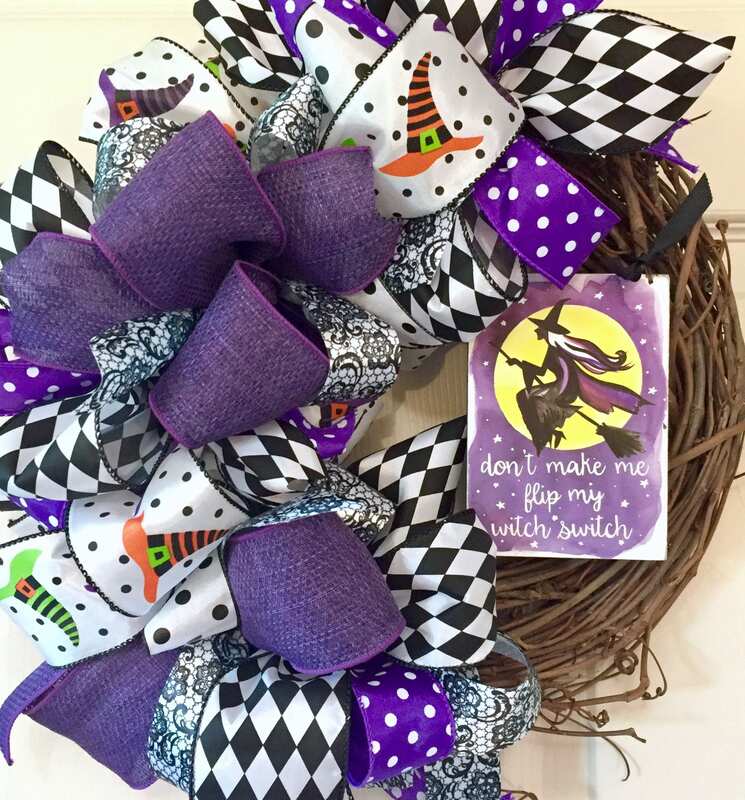 This wreath measures approximately 17” high, 14.5” wide and 6" deep.